Some weeks ago I was celebrating four years with my husband, so, on Monday, as it was long time we didn’t have a dinner date, we decided to have a special night. I have a list of the restaurants I am going to visit in the next month, but unfortunately no one of them was open so I decided to use one of the suggestions received during my interviews. One of the thing I personally love about my “Barefoot in Luxembourg meets people” series is that is giving me the opportunity to learn about new restaurants or the confidence to try something out of my comfort zone. So finally we booked at MAHO – that was mentioned as her favorite restaurant in Luxembourg by @fashion_lawyer. I have been to the premises of MAHO several years ago, when it was still Les Jardins du President, and really like the settings. We were warmly welcomed at the entrance and accompanied to our table on the veranda. 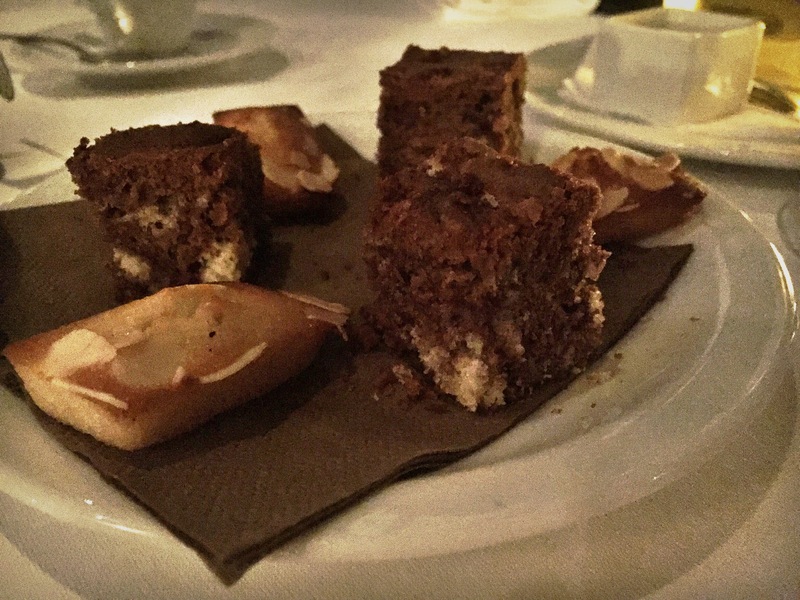 The atmosphere was very sophisticated and romantic, with very dim lights (even too dim – hence the bad quality pictures). We were served water and started with a glass of champagne. 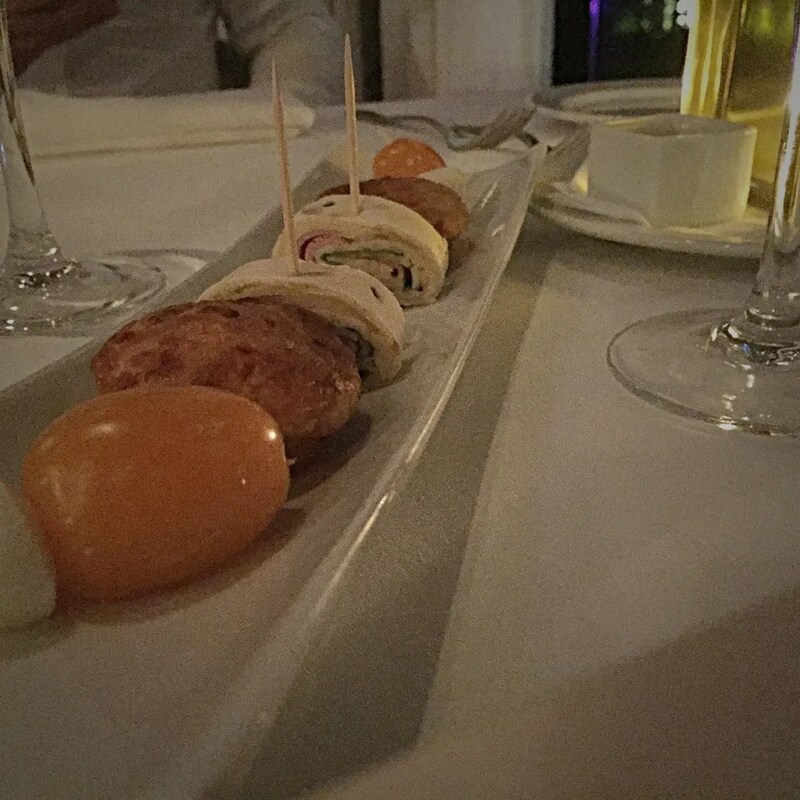 We received a small platter of appetizer, followed by a fish terrine as amuse-bouche. I had salmon fume as starter and beef filet with truffle as main, while hubby had canard terrine with foie gras as starter and entrecote as main. 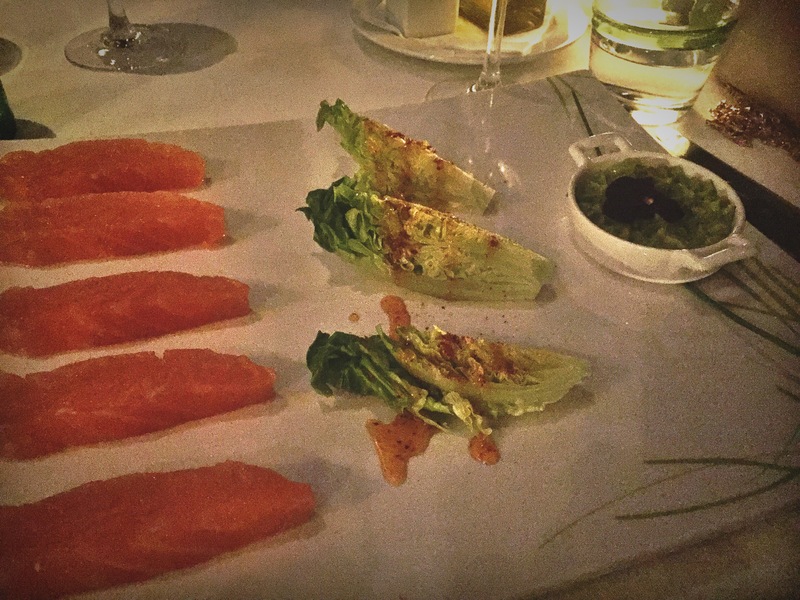 My starter was fine in average: the salmon was orgasmic, a butter melting in my mouth, but the plat itself was a bit disjointed – I did not like very much the salad and the avocado wasabi sauce haven’t seen any wasabi but has a very strong taste of lemon. 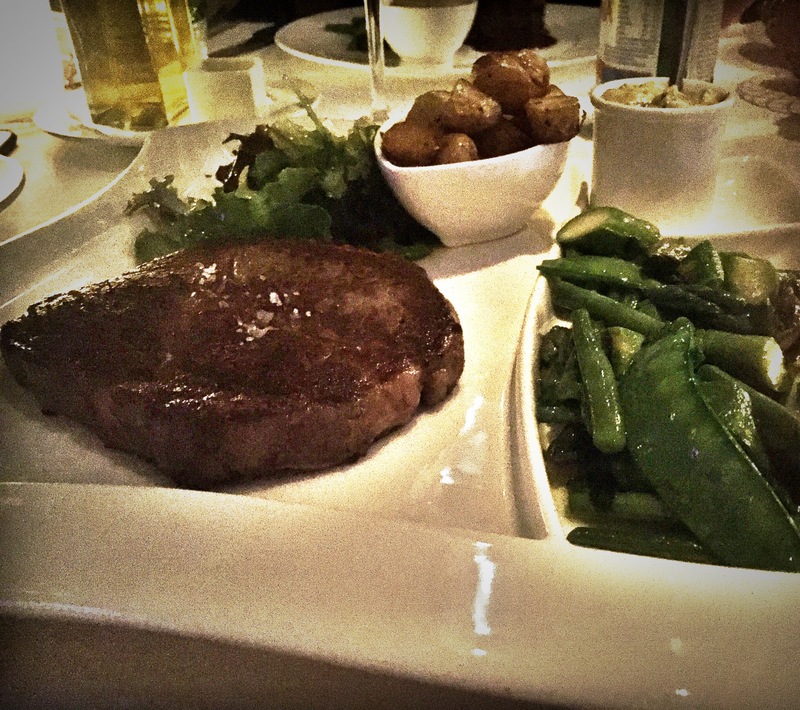 My main course was classically good: the meat was outstanding, perfectly cooked. 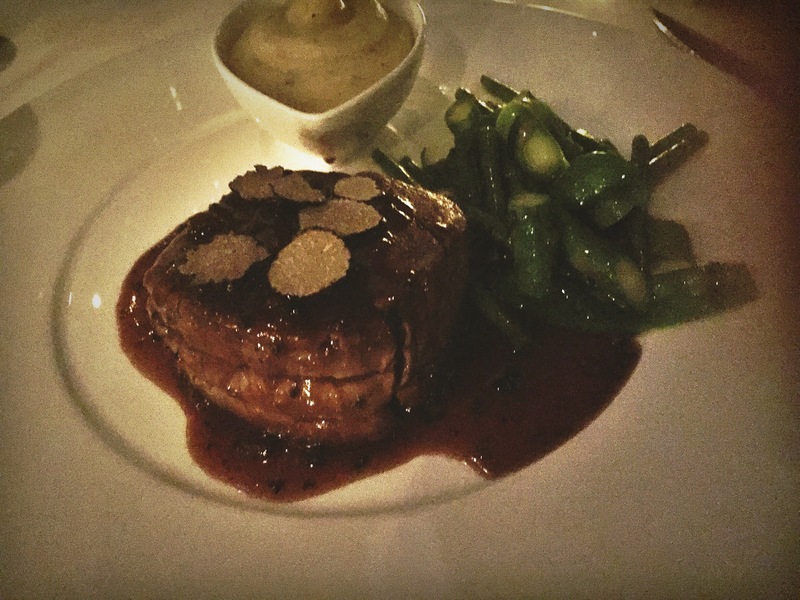 I loved the al dente green vegetables and the truffle pure’ was yummy – I would have eaten a bigger portion indeed. 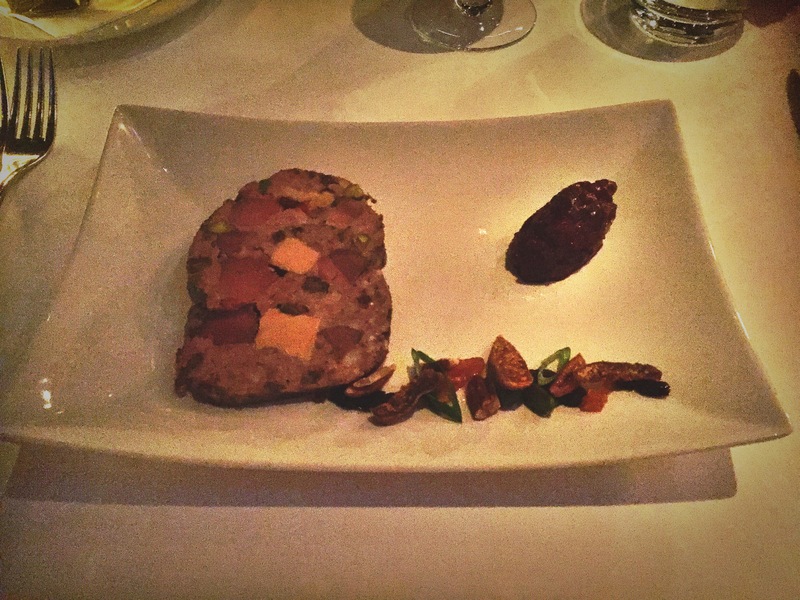 The only unfavorable point was the wine sauce on the meat – too sweetish for my taste. My husband on the other side enjoyed very much his plat – he said that it was the best entrecote he had ever had in Luxembourg, and I know how picky he is normally – only point he had was that the plat was super hot and the salad, for this reason, was really dried out, and should have been taken in a small pot. Find the pictures of our dinner, followed by my general impressions as usual. – Perfect service – present, discreet, smiling. We really felt pampered. – Excellent ingredients – raw materials were great and above all the meat was extremely enjoyable. – Cozy settings – great place for a dinner date and I cannot wait to come back during summer to enjoy the outside garden. – Smokers’ room – to avoid the cold temperature outside, a nice room with fireplace is available for smokers. – Too noisy – there were couple of business dinner tables that enjoyed fairly much the booze and talked at very loud volume. Considering the size of the room and the fact tables are pretty close, a big bite of romance disappeared. What a pity. – What about the WOW factor? Our dinner was not cheap one. Two starters, two main courses, two glass of champagne and 2 glass of wines took us around 170 Euro. It was Monday night and I had to drive, so we did not feel having a bottle of wine, but in case we would, our final bill would have overpassed 200 euro. If you follow my reviews, you see I am definitely fine spending this money for a special date, but I reserve this attention to a place that is not only good, but outstanding. While our dinner was good and the material uses were excellent, I don’t have that feeling of saying “wow, this dish is amazing”. It was fine, really fine, but not amazing. Indeed, I have to say that my husband felt in love with his entrecote and therefore I will definitely come back to check some more exotic dish.